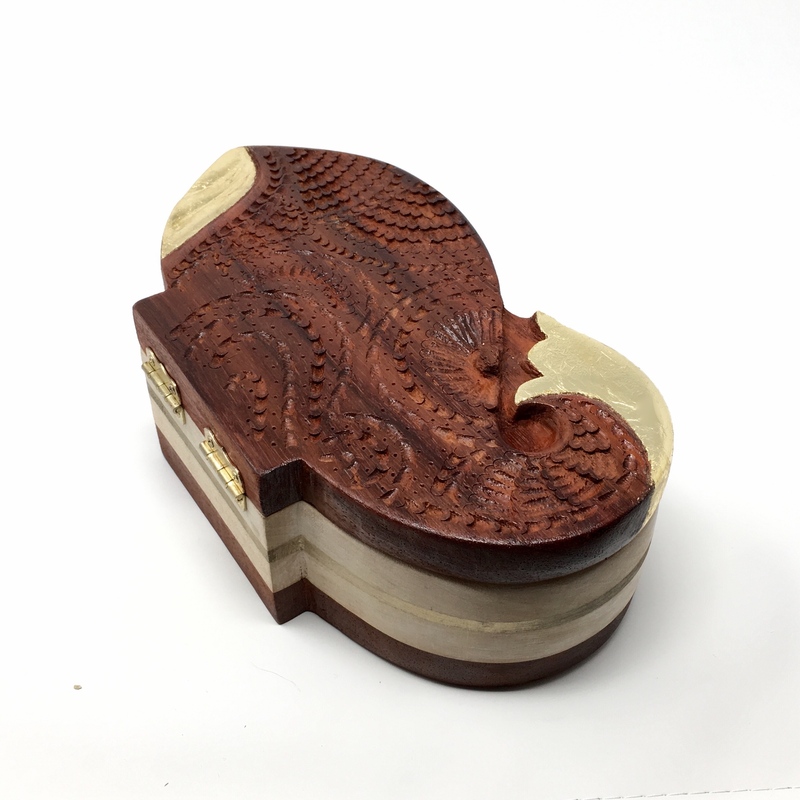 A new piece - a paisley sculpture carved in relief out of maple and mahogany. The mahogany pedestal features rosettes and small chip-carved patterns incorporating incisions. The paisley piece rests in a bed of felt. Here is a small sampling of the detail work on the pedestal. And a small video of the carving process. A small study in paisleys - I’ve been developing a uniquely Persian / Indian form of scroll work incorporating elements from Indian embroidery. 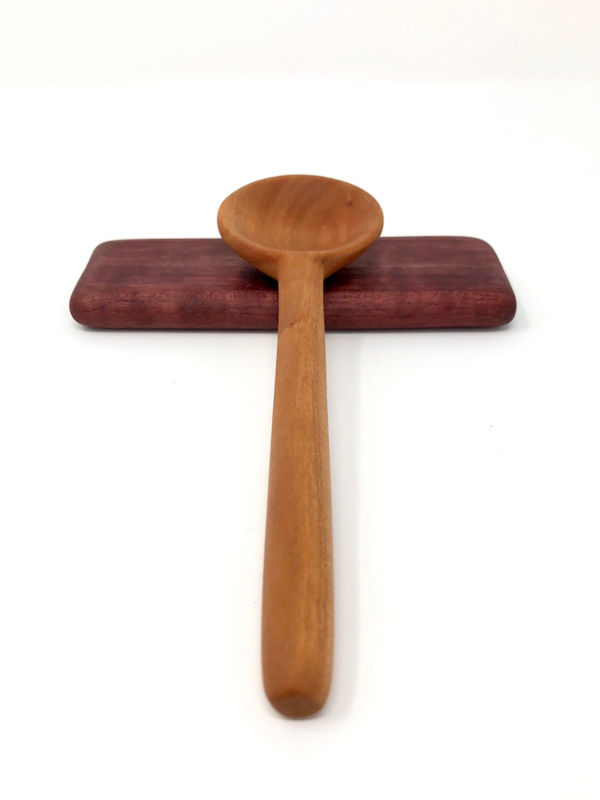 On exhibit at the Bay Area Woodworking Association this month. 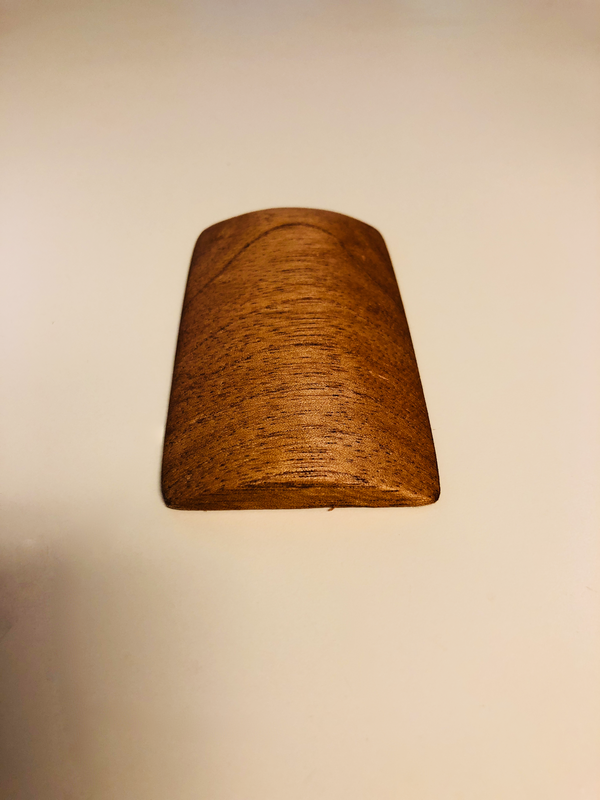 This project is a pair of wooden earrings. 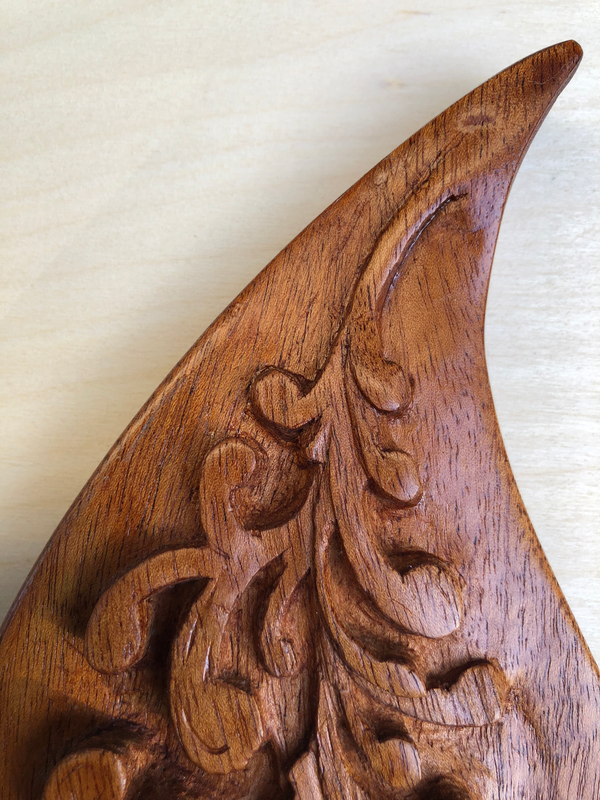 Carved from a single block of mahogany and dealt with from start to finish with hand-tools. The brass was a stray piece of artist wire combined with some off-the-shelf clip-ons. 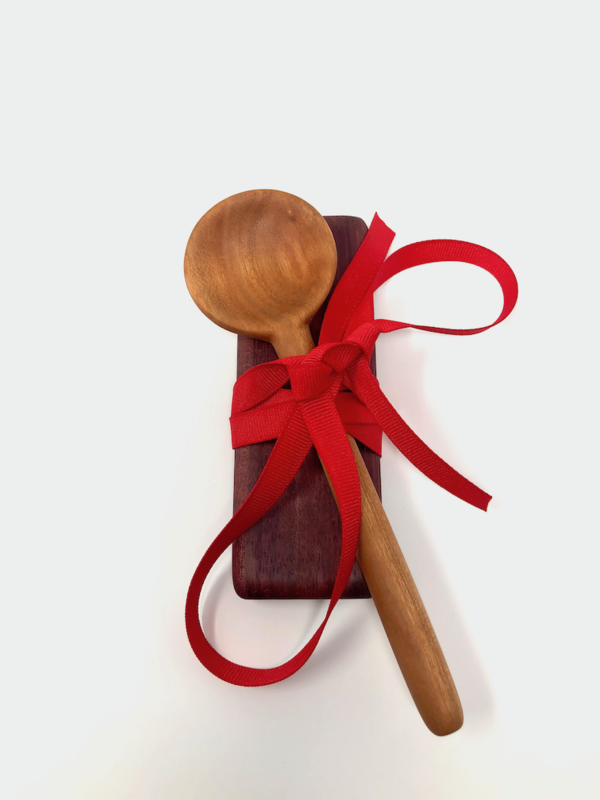 An unorthodox set of materials to craft a one-of-a-kind object. Here is a small clip illustrating the whole build process. This is a project very close to my heart. 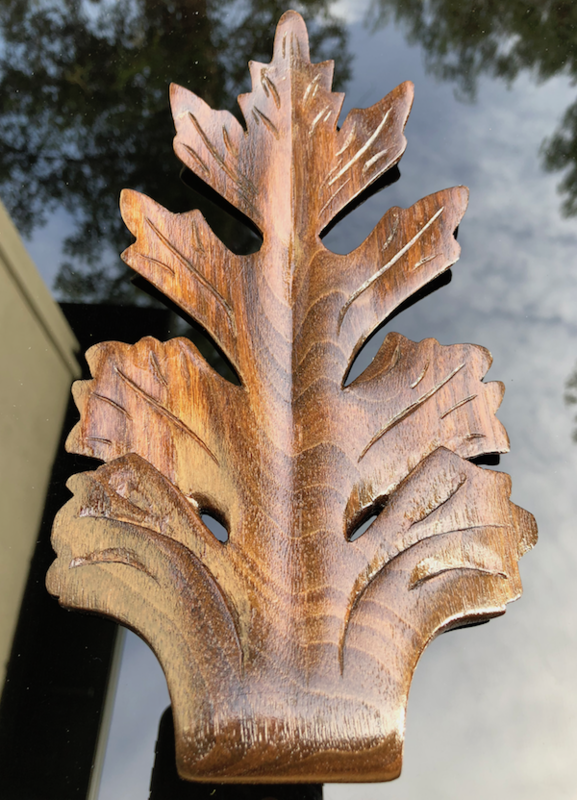 I first saw the acanthus leaf perched at the top of columns in old buildings in London. 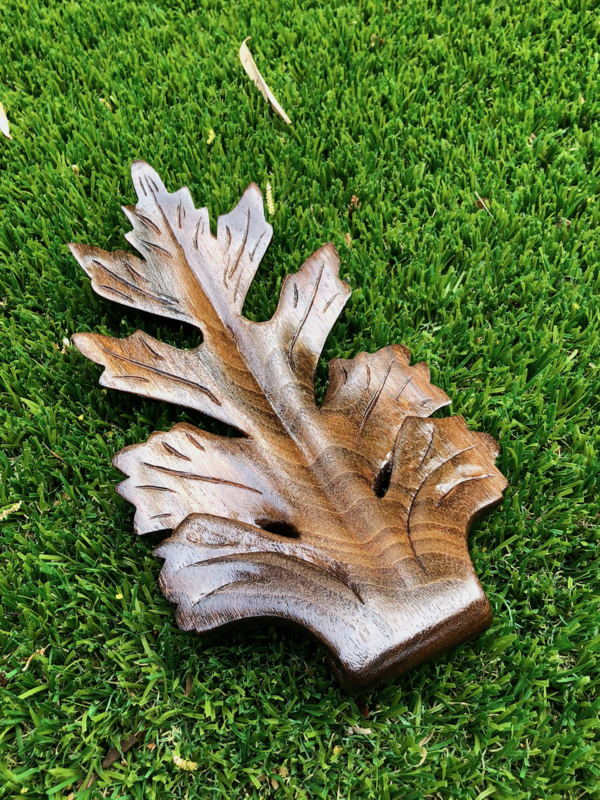 There’s something about the acanthus leaf that makes it stand out - the incredible fractality throughout. I had a lot of fun carving this. And carving such an old ornament (found in sculpture as early as 1000 BC), you can’t help but feel humbled – 3000 odd years ago, someone like me was making the same thing. What were their dreams like? What drove them and their creative pursuits? 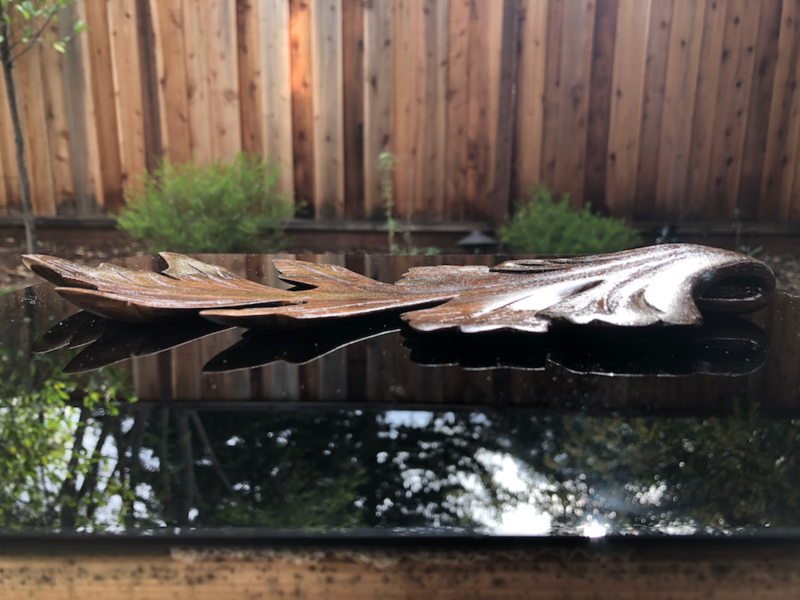 Here’s the leaf in her full glory - the chosen ornament of Western civilization, the muse of the great architect Callimachus, the artistic vision for over a hundred generations of mankind - acanthus. 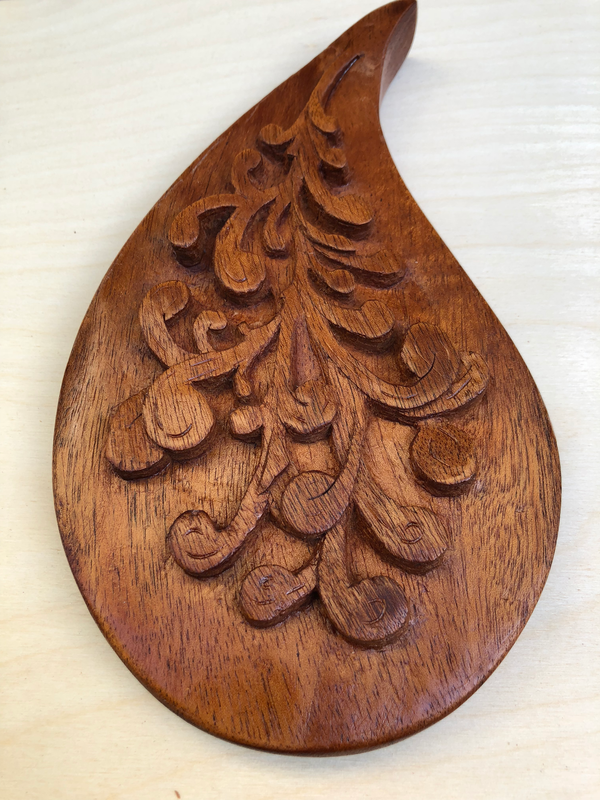 I carved this out of a slab of mahogany. The paisley shape originated in Persia, was adopted heavily in Indian design, is a regular feature in henna and other art forms, and was adopted heavily by the print industry in Glasgow. For this couple that contributed heavily to my life and my mental health, this was my way of saying thanks. I was operating on a very tight deadline so I couldn’t clean things up as much as I wanted. As we say, the next piece will always be better. 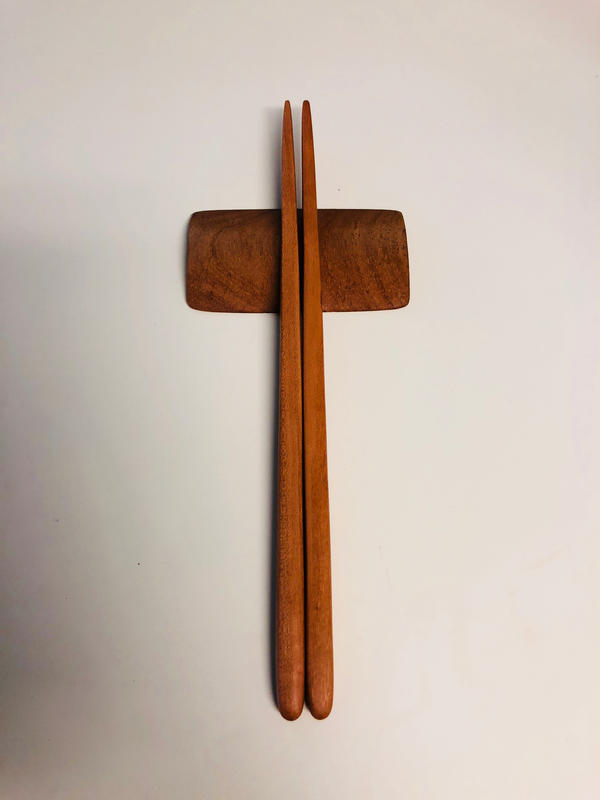 Made for a friend’s birthday, these chopsticks are made from cherry and the base from spanish cedar. 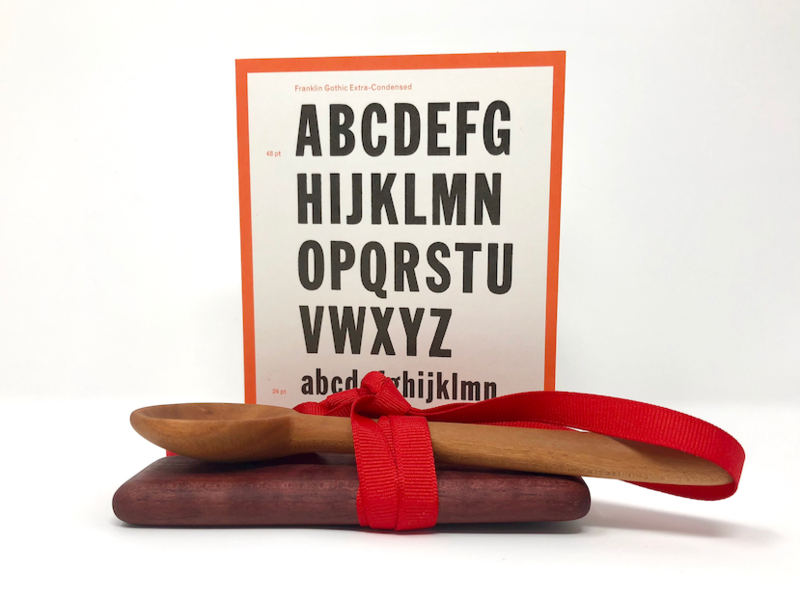 I began incorporating a new tool in my craft - a spokeshave. Amazing tool. 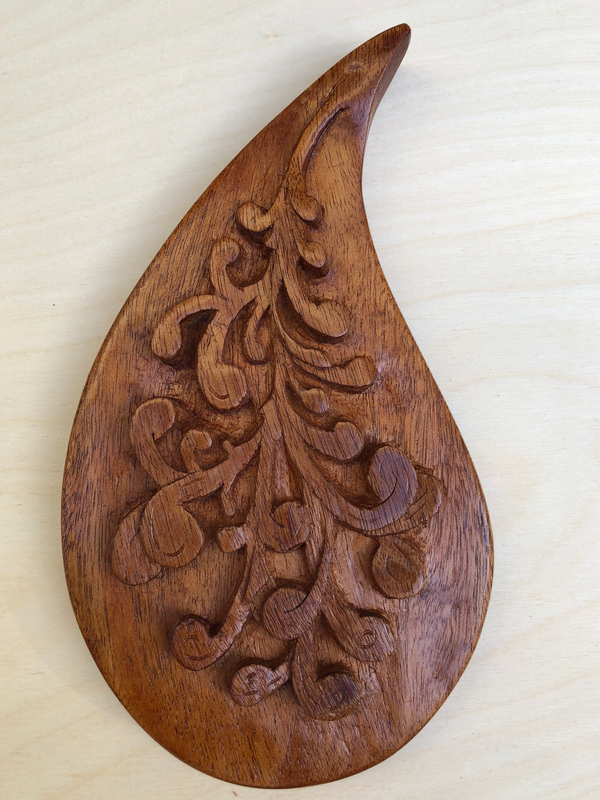 A basswood carving. Finished first with polyurethane, which was a disaster. Rescued (sort-of) with a gel stain. 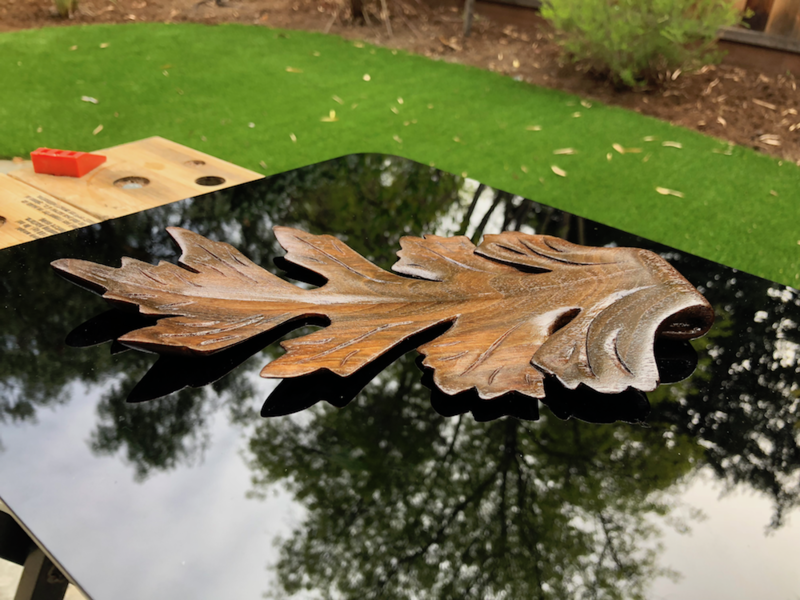 I want to share a couple more woodworking projects. 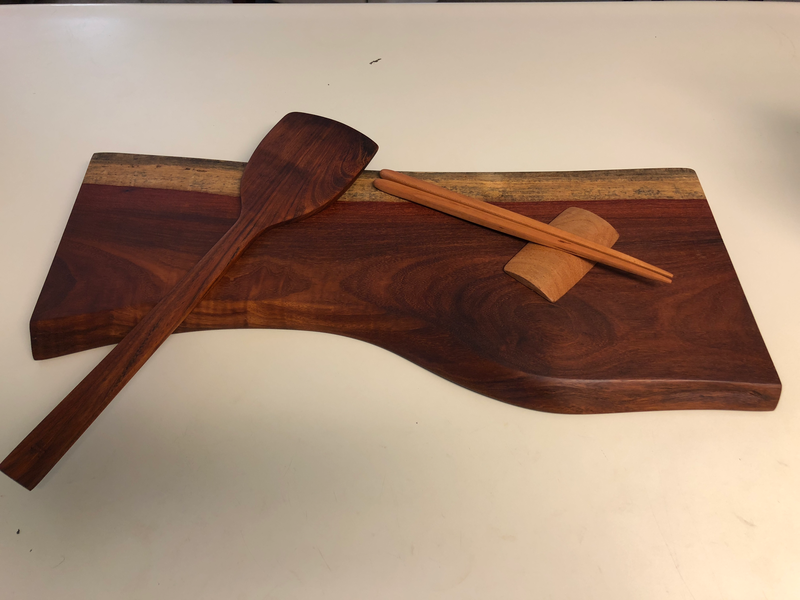 The first is a jatoba spatula, the second a bloodwood cutting board. 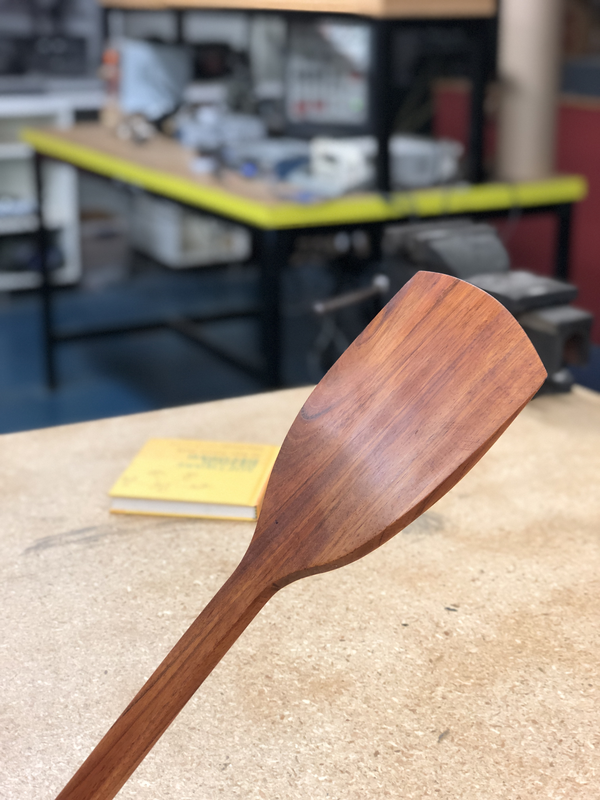 Jatoba is a stunning wood - after sanding down to 1500 grit, when you run your finger on the surface, it has this velvety, posh, expensive feel. It feels gorgeous to look at, it is amazing to touch. 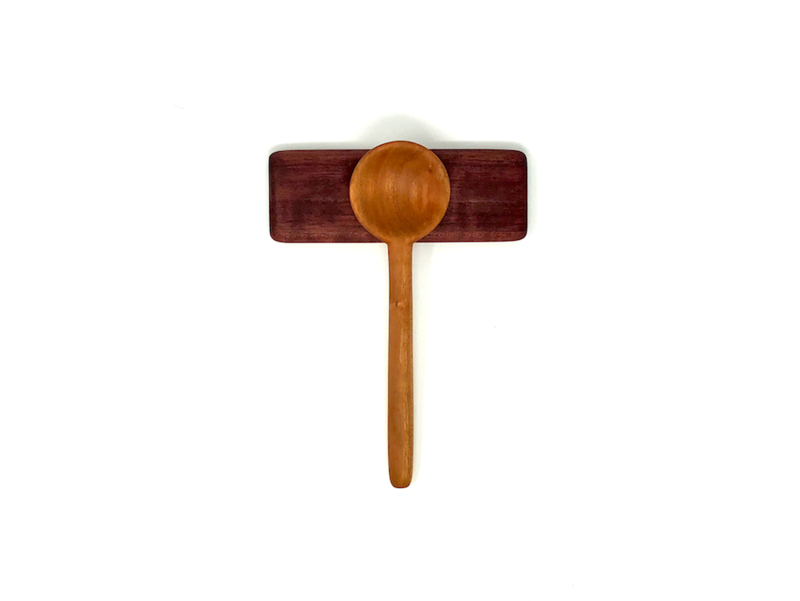 The bloodwood board was rescued from a scrap bin and cleaned up. Removing the dirt and grime revealed a surface full of character and vibrant colors. 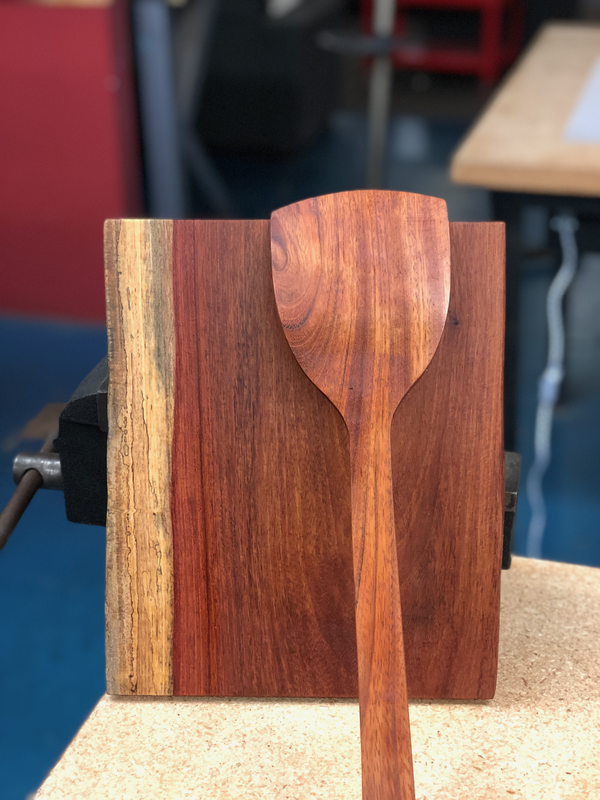 The contrast between the live edge and the grain, the reds, the blacks and the yellows - this is a masterpiece forged by nature - one no man can produce.